Hello lovelies! 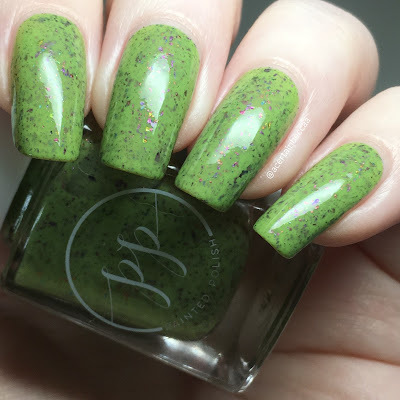 Today I have a fairly recent Painted Polish to share with you, 'Shamrock 'N' Roll'. This was released for Saint Patrick's Day and is a reimagination of 'Shamrock Your World' from last year - which I did miss! Luckily this years polish is still in stock on Rainbow Connection here in the UK, so I picked it up in a recent order. Read on for my swatch and some stamping! 'Shamrock 'N' Roll' is a leaf green crelly packed full of pink, purple, blue, and gold shifty flakes. It has a super smooth, easy to apply formula, and is lovely and opaque. I could see my nail line after the first coat, although the generous amount of flakies you get easily distract from that. A quick second coat brought it fully opaque. Below is two coats with topcoat. I did want to add a little bit of nail art to my swatch, but didn't want to distract too much from the polish. With my Mum helping me for ideas, we settled on some subtle stamping using UberChic Beauty plate Fairytale-02 and Hit The Bottle 'As Black As Night'. What do you think? I can never resist a good flakie crelly, and love the combination of the green base with those shifty flakes. 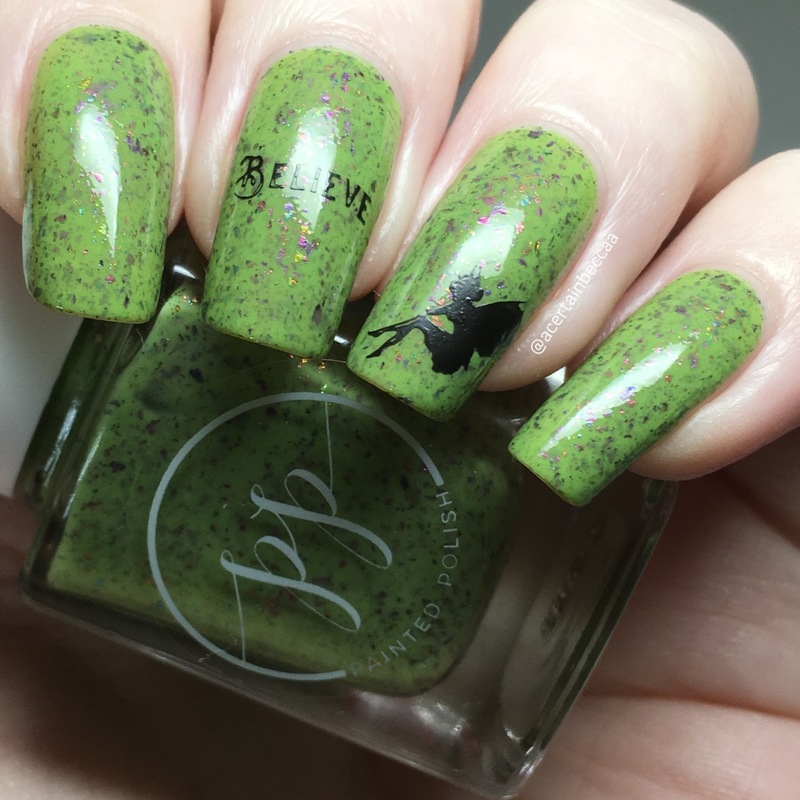 Even though I missed Saint Patrick's Day, this is still a perfect polish for spring. I did also purchase some of Nine Zero Lacquer's new flakie crellys, so keep an eye out for those soon. 'Shamrock 'N' Roll' is available on the Rainbow Connection website here, although it is a limited edition shade so be quick! 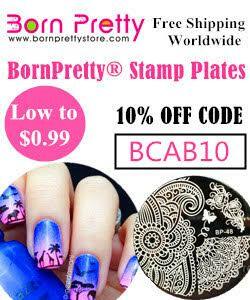 The UberChic Beauty Fairytale-02 plate is out of stock, but you can find lots of others here.